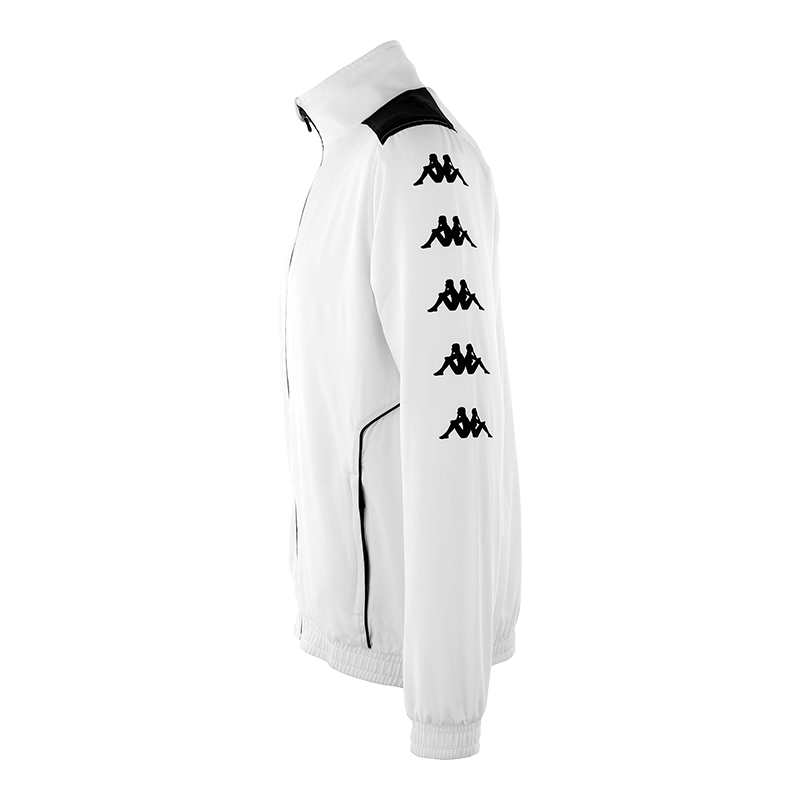 Jacket output Tiriolo to man out of the sport collection of Kappa is a must for sportsmen. His high-quality woven material makes it a comfortable ultra product. Its decidedly retro look, and its fitted cut the registrant in the era of time. It is available only in adult in 3 colours: white, black and Navy. It fits perfectly with the Taverno pants. 100% woven polyester jacket. Kappa embroidered on the chest, Banda printed on the sleeves, piping contrasted on the sides, 2 zippered pockets.